General Ryamizard Ryacudu says Indonesia could buy 5 submarines. 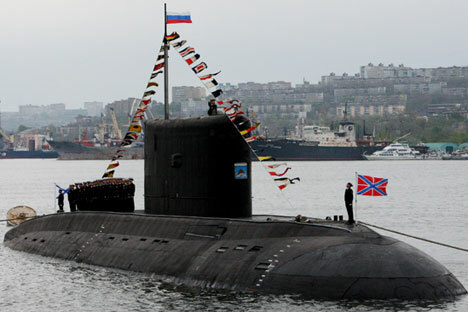 Indonesia is considering Russia as a potential supplier of new submarines, Defense Minister General Ryamizard Ryacudu was cited by TASS as saying. Ryacudu said the new purchases were endorsed by the president, according to the report, which added that the country could buy five submarines. The Indonesian Defense Minister said Russian submarines could perform longer missions underwater and cruise at lower depths compared with the submarines from other countries, according to the report. Analysts say Indonesia could be interested in Varshavyanka class diesel-powered submarines.